Learn how to apply eyelash extensions in 5 steps! Have you watched your favorite Bollywood celebrity rock the red carpet with her hair and makeup looking flawless and had those goals for your own beauty looks? That gorgeous shimmery eye shadow, the perfectly applied kohl and those long voluminous eye lashes make it seem like applying makeup is the easiest task in the world. But when you try to do the same, it ends up falling flat and looking nothing like red carpet ready. Even if you apply tons of mascara, your eye makeup game just doesn’t look the same. Wonder why? It’s because all the celebrities have a secret – eyelash extensions. Celebrities manage to make their eye makeup look on point every time because they highlight their eyelashes which help to frame the entire face and draw attention to the peepers. If you want to try and achieve the same look, here is a guide to help you apply eyelash extensions like it’s no big deal. Read on to find out more. 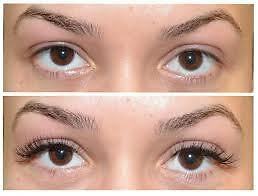 Eyelash extensions come in all sorts of lengths and thicknesses and you need to find the one that suits you best. One kit may offer different length extensions so you could experiment and find the one that works. Before you begin applying the extensions, you need to ensure that they have a clean base to stick to. 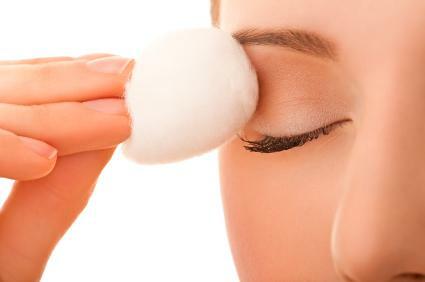 Use a cotton ball or makeup wipe and some cleanser and thoroughly clean your eyes. Then wash your face and focus on getting the lashes clean. 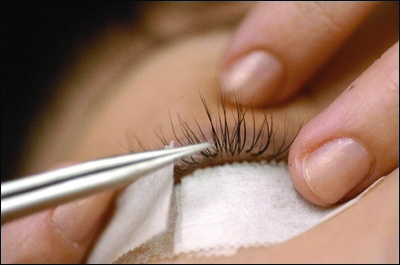 Pat dry using a towel and then a tissue to ensure the lashes are completely dry before you begin application. For beginners, it can be difficult to master the art of application right away. So to help you see it better, use a white medical tape. Touch it a few times so some of the adhesive wears off. Then apply it on your bottom lashes and stick it under the eye, or if you have small lower lashes then just apply it just below the eye. 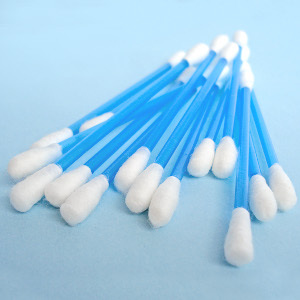 This will help you clearly see your upper lashes when you close your eye as they will stand out against the white tape. 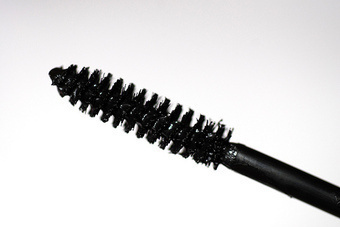 Use a clean mascara wand with absolutely no product on it to brush your lashes. This will open them up and make it easier to apply extensions. To clean the product off the wand, soak it in warm water first and then in soapy water over night. Make sure that the entire product is off before you use it. Now this can be a tricky part to make sure you get the glue correctly on the lashes. Dip an ear bud in the glue provided and hold the extension with tweezers in the other hand. Use your dominant hand to gently apply the glue along the side of the extensions that will be stuck to your lash line. Make sure not to get the glue anywhere else on the extensions. 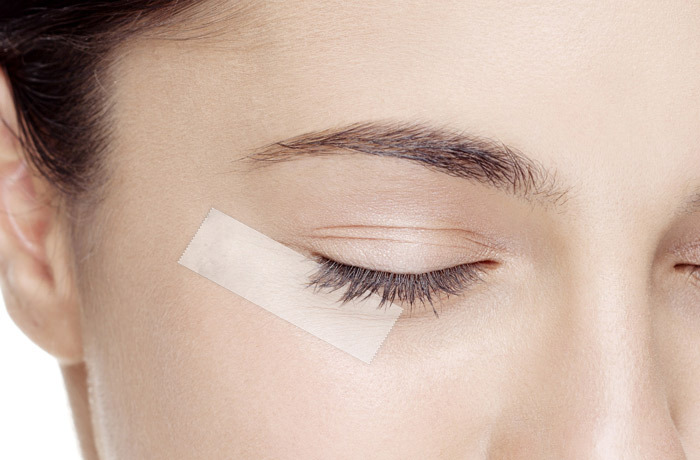 Hold up the skin of your eyelid so your lashes are pointing upwards. 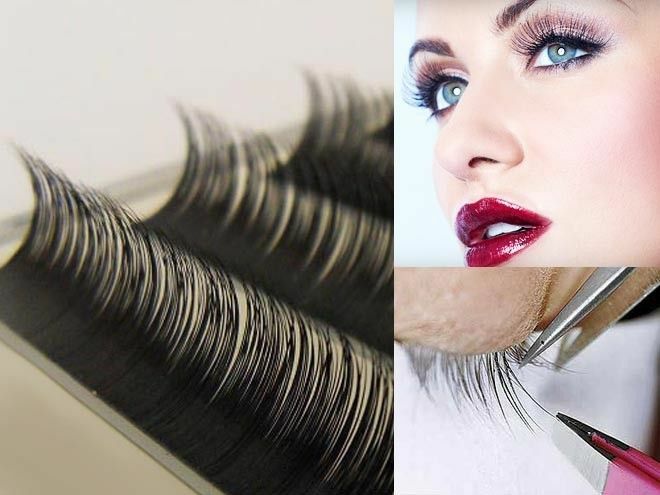 Then, delicately place the extensions with the tweezers right over your existing eyelashes. Do not press them just yet and make sure they haven’t stuck fully. Close your eye and using the white tape as a measure, gauge whether you are happy with the placement of the extension. If not, just lift your lid again and move it as desired. Once you are happy, just lightly press the extension downward onto your own lashes for it to stick. Continue this for both eyes and voila, your lashes will be ready to dazzle. ← 6 Awesome fashion trends that are back with a bang!